Come create YOUR Vision Board! THIS IS A DATE CHANGE! 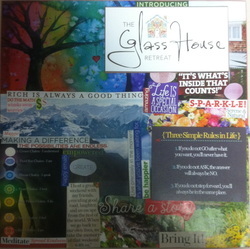 Create one 12" x 12" Vision Board that is uniquely yours. I will supply - all the fun stuff that ever was and ever will be from the Magic Basement. Glitter and Ribbon and Brads, oh my! Only by being willing to accept everything the universe has to offer will you be able to see your dreams manifest themselves to fruition. Do you have MANY of these items? Print them out and bring them. Below is a slide show - you can't view it from an iPhone or an iPad.